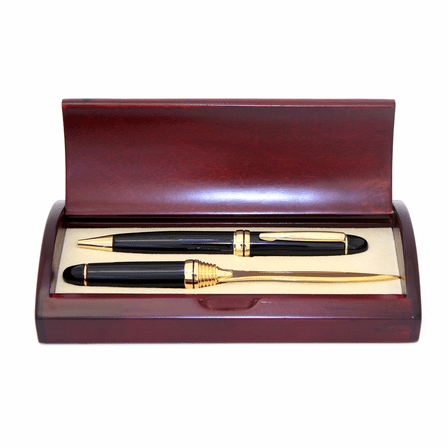 The solid brass pen and letter opener in this gift set both are coated in elegant black lacquer. They come packaged in an understated rosewood gift box. Inside, the box has a foam inlay with cutouts to cradle both the pen and letter opener. 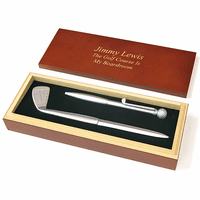 Add free laser engraving to the lid to turn this desk set into a personalized keepsake. The laser engraving burns away the top layer of the rosewood finish wood lid to reveal the lighter wood underneath. Packaged in a gift box, this gift set for business men and women'ships out within one business day. 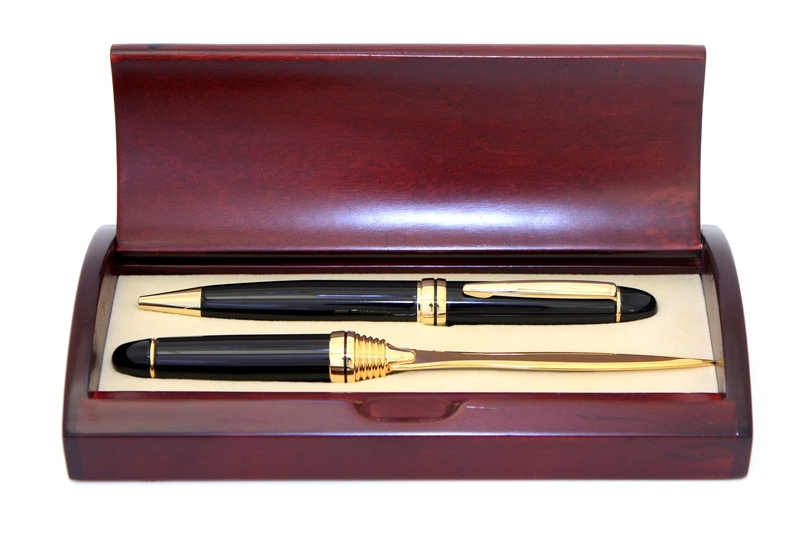 Dimensions: 8 1/2" x 2 3/4" x 2"
Elegant and classy gift set. 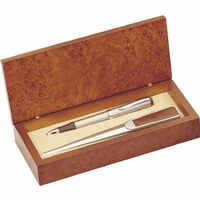 The quality of the pen and letter opener is excellent and the engravings on the pen and box are very nice. Will definetely buy this again and I highly recommend it. Customer service is also great and cooprative. Quality materials, impressive presentational gift for the man/woman who has everything. I had communication double-checking whether or not I wanted engraving. I changed my mind and said yes. Engraving is lovely. Email came right back confirming. Good folks to do business with. I'll purchase from them again! I purchased this lovely set for 70th birthday gift and the recipient was very,very please.It is very good quality and I would definitely recommend this product. I am very pleased with this item, it was sleek and sophisticated looking. The pen and opener had a little bit of weight to it which just solidified the quality. There was an issue with the shipping and it appeared I may not have received it in time for Christmas, however, when I called the customer service line, they did not hesitate to correct and the issue and assure I receive my order on time. The person I gave it to was equally pleased with this gift. I would absolutely suggest you place an order Executive Gift Shop. Thank you all so much! 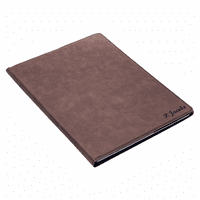 ProsThe item was very nice, the customer service was handled well, pleased. ConsIF I had to say something, I would say the shipping, however, they can't control UPSPS. The only thing I would change is to buy a fine point refill when one is needed. Works great and I do like the looks and feel. A nice surprise when opened. 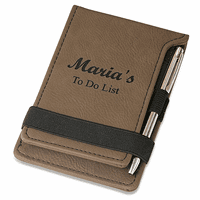 This is a perfect gift for the executive or just a business gift. We had our logo imprinted on the box which made it more personal and memorable.